Suitably Stamped: "My Paper Pumpkin" - Bibbidi, Bobbidi, Boo! Well, I'm back from sunny Orlando and Stampin' Up! Leadership 2013. WOW! What an amazing 5 days it's been! I have LOTS to share with you but this first news is SO exciting that I had to get it out to you right away. Now, if you read my blog regularly, you know how much I LOVE Disney. 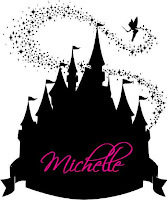 Well....finding out about Stampin' Up's NEW "Paper Pumpkin" mail order program is just like being Cinderella and having that magical pumpkin arrive to take me to the ball! Talk about magical! Just think . . . I come to your door each month (a fully decked-out creativity carriage). I'll help you escape your life with some paper fun. (I'm kinda like your paper fairy godmother—without white hair!) You'll love what you find on the inside: All the stamps, ink, paper, and accessories to create pinable projects. Stuff like cards, 3-D items, and more! So what are you waiting for? Come on and give me a try! 2. There's a fun "Try It" kit that you can...well...TRY! Get your feet wet and try it out. 3. An AMAZING "Welcome Kit"
4. $19.95 includes EVERYTHING – Even Shipping! 10.Be FIRST – SIGN UP TODAY to reserve your spot in the innaugral SHIPPING! Find a box like this at your door every month filled with fun, new projects! SO WHY IS THIS PERFECT FOR YOU? 1. No huge packs of paper, rolls of ribbon or embellishment containers to try and use up or feel guilty when you don’t and still want to buy something new. 6. Something besides junk mail or bills in your mail box – everyone LOVES Happy mail! 7. No going over budget – the kits are priced right to fit any budget. 8. Afraid of commitment – this kit has NONE – remember it is month to month. SO... What are you waiting for? JOIN NOW and be a ready for the huge "My Paper Pumpkin" Launch! I'll have a "My Paper Pumpkin" Support Group where you'll be able to get assistance for anything you might need. Once you've joined....just sit back and wait for your fun, red box to arrive. I've already signed up for the first Paper Pumpkin!! Come on and join me! It's sure to be magical! It's a win-win! You'll LOVE it!